The health of you smile is among your top priorities. To protect your teeth from tooth decay, you take the time to brush your teeth twice a day, but are you flossing every night? If you are not flossing, you are not doing everything in your power to protect your oral health. Your gums have an important role. When you do not take the time to floss, you are opening the door to gum disease. This preventable infection can have lasting complications for your oral and general health. To promote your mouth and body, your dentist in Gahanna encourages flossing daily to prevent the infection. You always want the best health for your child, but sometimes that isn’t an easy goal to fulfil. They push away food you know is good for them, they refuse to go to bed when you ask them to, and they don’t like brushing their teeth. 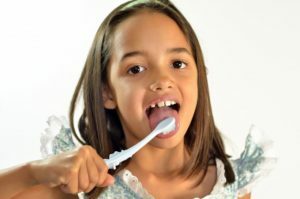 For Children’s Dental Health Month, your dentist in Gahanna wants to make the path to proper oral care easier. That’s why they’re prepared to offer several tips to get your children on the right track. 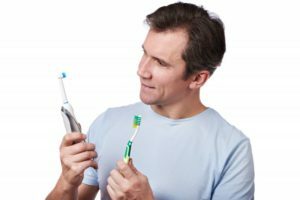 With these in mind, you’ll have a better chance of making oral care a habit for your loved ones. Your mind is made up! This is your year to renew your oral health, and one of the simple things you’re starting with is choosing the right toothbrush. You’ve heard a lot about the different options available to you – electric or manual – soft or medium bristles, but you want expert advice on the matter. That’s why your dentist in Gahanna has weighed in with some information to guide you in your search. As you continue reading, you’ll get a better idea of how to make the right choice. 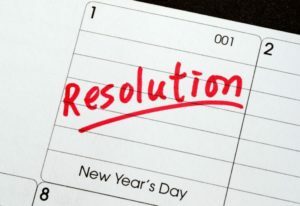 The excitement has been rising in you, and now it’s reached its crescendo with the start of a new year. You can’t help but feel optimistic about the possibilities that are available to you. 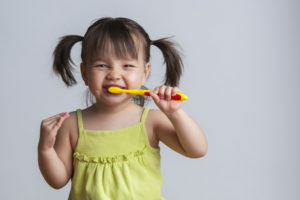 So as you contemplate what goals you’ll set for the next 12 months, your dentist in Gahanna suggests that you incorporate something very tangible and practical into your top tier of choices – excellent oral health. As you continue reading you’ll learn ways to go about this and how preventive dentistry will help you be successful. An old axiom says, “You don’t miss what you have until it’s gone.” Since you lost your teeth, you can definitely attest to that. You feel a great void and you want relief from the suffering, both aesthetically and functionally. 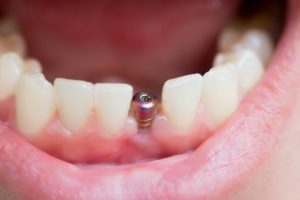 Thankfully, there is a solution for you: dental implants of Gahanna. Learn more about why this option is better than others. We’re sure many can agree that some mornings require a cup of coffee—other mornings require a double shot of espresso. Either way, if you don’t have mints at your desk, your coworkers could end up face to face with your coffee breath—literally. With a quick brush of your teeth, fresh mint, or swish of water, your coffee breath will eventually fade throughout the day. But if you have consistent bad breath, there may be an underlying dental issue. 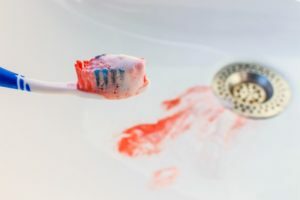 Learn here about what bad breath could be a sign of and how your dentist in Gahanna can actually help you. What Are Some Common Symptoms of Sleep Apnea in Gahanna? A good night’s sleep can make the difference between a fantastic, productive day and a day where all you want to do is hang out on your sofa and watch TV. However, the benefits of getting enough rest go even further than that. If your routine includes enough shuteye, you’ll be less likely to suffer from a range of serious diseases. But what if you always go to bed at a reasonable hour and you still find that you’re tired? You might be suffering from sleep apnea in Gahanna. How can you tell if you’re a victim of this disorder? Comments Off on What Are Some Common Symptoms of Sleep Apnea in Gahanna?